When it comes to Twitter, it’s easy for marketers to fall into a Goldilocks predicament: Tweet too little and your audience never sees you. Tweet too often and you’re oversaturating their newsfeeds. Getting the number of Tweets you produce “just right” can be tricky. 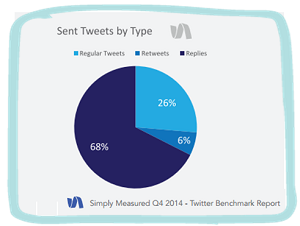 A new report from Simply Measured studied 145,828 Tweets created by 98 brands over a three-month span and found that 95 percent of companies publish Tweets at least once per day. This number rose 3 percent from the previous year. When it comes to how often a brand should Tweet per day – there was a clear pattern among marketers: 82 percent of tweeted between 1 and 6 times every day (this figure excludes @replies and Retweets.) Interestingly, only six percent of the brands studied were tweeting more than ten times per day. Just because the average number of scheduled Tweets was roughly 1 through 6 doesn’t mean that’s the extent of brands’ interaction on the network. In fact, companies are engaging more than ever with their audiences. 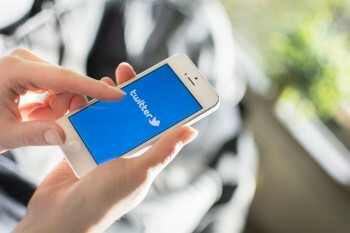 The report said 68 percent of Tweets posted by brands were @replies and 48 percent of brands were replying to audience engagements at least once a day. One Brafton client was looking to organically increase followers while maintaining a strong presence on the social network. The accounting company worked with Brafton’s social strategists to create a Twitter campaign that included 40 daily Tweets. Because the subject matter and formats were varied, the brand was essentially only tweeting 10 times a day about finance, accounting, cloud computing and treasury. The client tripled its Twitter followers in a year’s time. A brand’s Twitter activity should depend on how much content you produce and how active your audience is on the network. To learn who is interacting on each of the most popular social networks, check out our Content for Social media eBook and for Twitter-specific best practices, check out our guide to mastering Twitter etiquette.